Most prestigious membership category. Business referrals and business listing by company name, including logo and business description in the front section of the Online Membership Directory. Online description of business with logo in a specially designated section; hyperlink to the company’s website, and featured promotions in “Chamber News” online. Annual workshop* to present trustee’s services and/or products. One reserved seat at the head table during monthly business luncheons on a first-come first- served basis. Exclusive access to special meetings and private events. *Subject to availability. Additional fees and restrictions may apply. Business referrals and business listing by company name, including a separate listing for Patron Members in the Online Business Directory and website. Online description of business in a specially designated section; hyperlink to the company’s website, and featured promotions in “Chamber News” online. Patron Members are invited to special meetings and private events. Business referrals and business listing by company name in the Annual Business Directory and website. The corporate categories allow the company to have an online description of the business; hyperlink to the company’s website, and featured promotions in “Chamber News” online. Listing by last name of the member. This category is for people interested in Brazilian and American business relations. A low-cost membership for undergraduate and full-time graduate students. Must provide a copy of current schedule of classes and student ID card. Valid in the U.S. only. This category does not apply to students with part-time or full-time employment. A category designed for non-profit entities such as associations, trade groups or chambers of commerce. 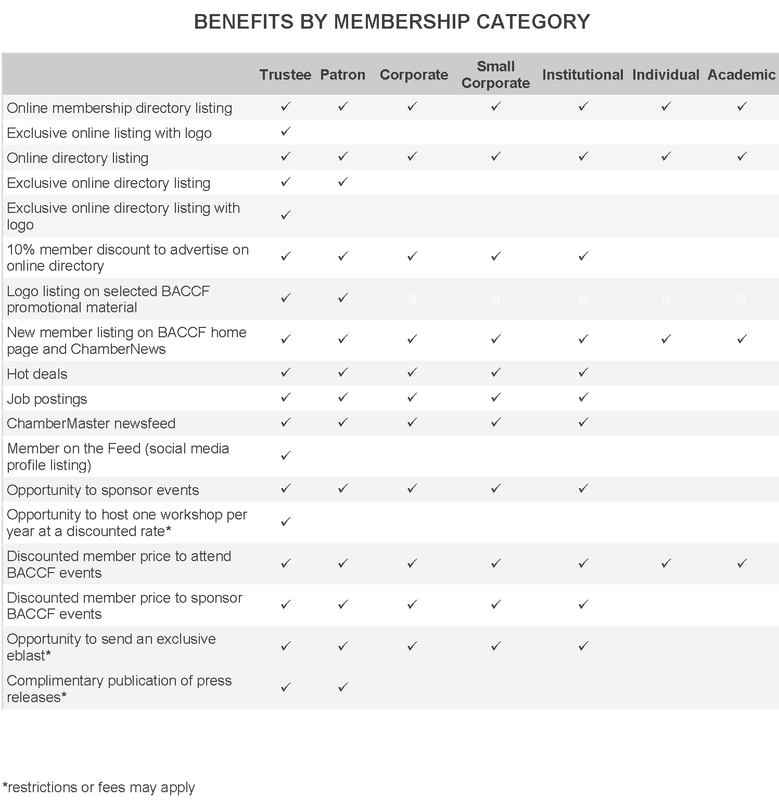 Institutional membership is based on a reciprocal relationship, and is exempt from dues.